As the weather gets cold in Atlanta and heating bills rise to their most costly levels of the year, many people ask: Why is my heat bill so high? What can I do to lower my heat bill? These are excellent questions—questions that the heating experts at Fulton Services love to help out with. Naturally, we offer a wide variety of efficient heating products and oftentimes we recommend that a customer get a heating tune-up, but sometimes the best solution is to have your ductwork tested for leaks and sealed. So, the question is: Do I need duct sealing? Furniture and other items are constantly dusty in spite of regular cleaning. Your heating bill seems unreasonably high. Ductwork in a garage, attic, basement, or crawlspace is exposed. Certain rooms are always colder than other rooms. The air in certain areas is stuffy. A leak in the ductwork at your Atlanta home or business could be costing you a lot of money month after month. 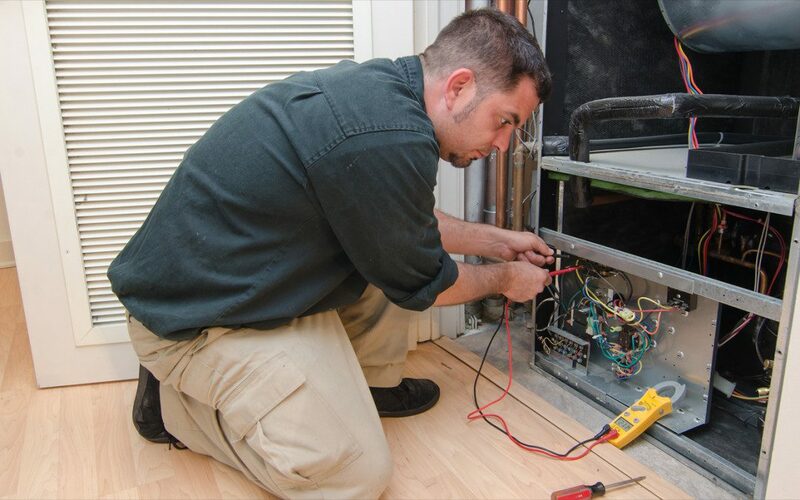 Your heating unit produces heated air which then gets disbursed throughout the building via the ducts. If your ducts have leaks, your heated air is constantly being lost, and your heating unit must work extra to make up for it, causing your heating bill to be higher than it should be. This doesn’t mean you need to have the ducts replaced; some simple duct repair will work just fine. If you think your Atlanta area home or business has leaky ductwork, contact Fulton Services right away, so that you don’t waste any more heat and money! Duct sealing could help you to save money on all your future heating bills! Our heating technicians also offer duct cleaning which can help improve your indoor air quality.